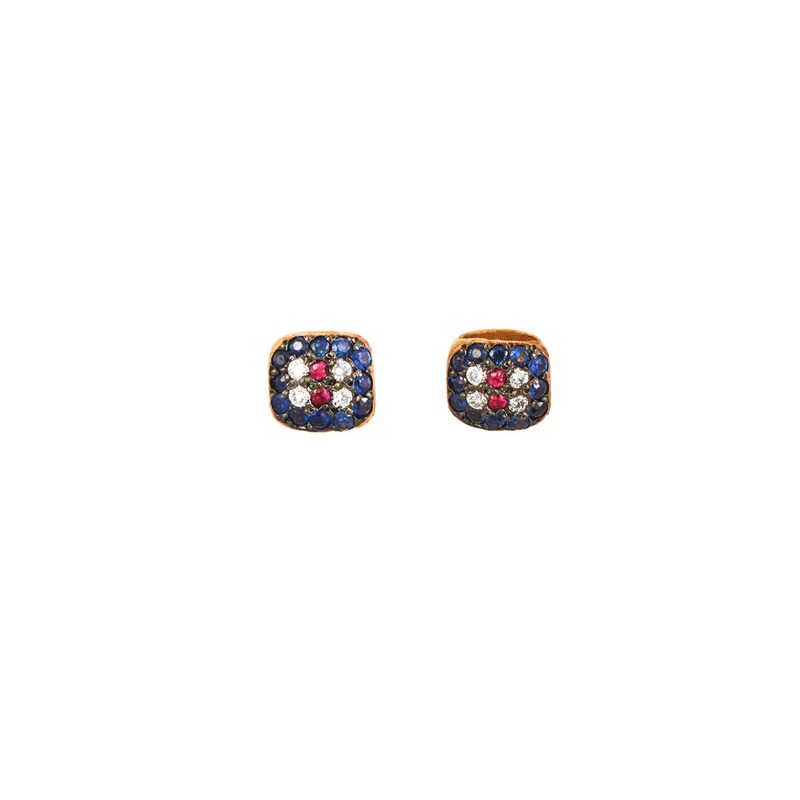 Earring in 18k rose gold with sapphires 0.06ct. rubies 0.01ct. and fine make brilliant-cut diamonds 0.02ct.